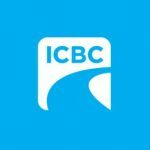 Insured my motorcycle this weekend and was reminded of an add-on insurance policy offered by ICBC that most people might consider buying. Excess Underinsured Motorist Protection – gives you up to 5 million insurance to cover you if someone in a stolen vehicle or someone without insurance or not enough insurance hits you and hurts you badly. $40 buys 5 million in coverage. Essential if you ride across the line where the average person has only $100,000 coverage if they hit you. NOTE: You used to buy this once a year to cover you for all vehicles. You must now buy for each vehicle. Wishing everyone a safe and adventurous riding season.